Conor McGregor’s training partner Dillon Danis has been given a seven-month retrospective ban and fined $7,500 for his role in the post-fight brawl at UFC 229. After Khabib Nurmagomedov forced McGregor to tap out in the fourth round, Danis began to abuse the Russian from outside the cage. Danis’ taunts then prompted Nurmagomedov to spring over the octagon fence and jump into the crowd, sparking the melee which marred the lightweight title fight. McGregor received a six-month retrospective ban for the incident and was fined $50,000. Nurmagomedov, however, was hit harder, receiving a nine-month retrospective ban and was fined $500,000. Danis, who has fought once under the Bellator banner, was treated with significantly more lenience that Nurmagomedov's teammates. 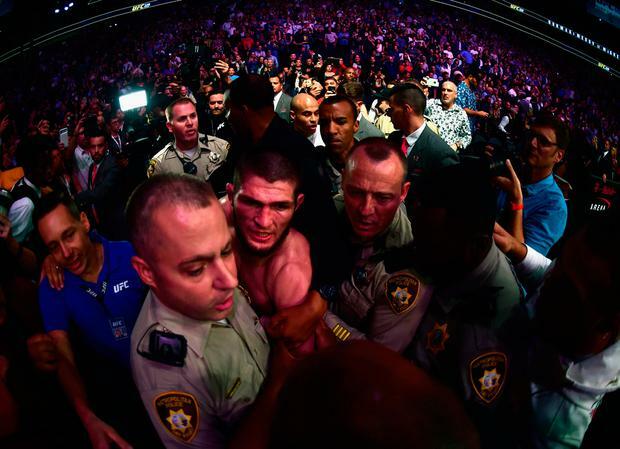 Abubakar Nurmagomedov and Zubaira Tukhugov both received one-year suspensions after attacking McGregor after the bout.